Lots of weeds, but plenty of progress too. I have a tendency to look forward most of the time. I do a lot of planning. I plan the garden—what needs to be done each week during spring so I can get everything planted at the right times. I write detailed quarterly plans for my writing—focusing on what tasks I need to accomplish to get the next book out and increase my audience. I’m so focused sometimes on looking ahead at what I need to do next, that I can forget to look back. Looking ahead, I see endless to-do lists, huge tasks to accomplish, and challenges to overcome. It is unrelenting, because there is always something more on the horizon. The jobs are never complete, the list is never empty. It can be overwhelming. From time to time, it’s worth looking back. 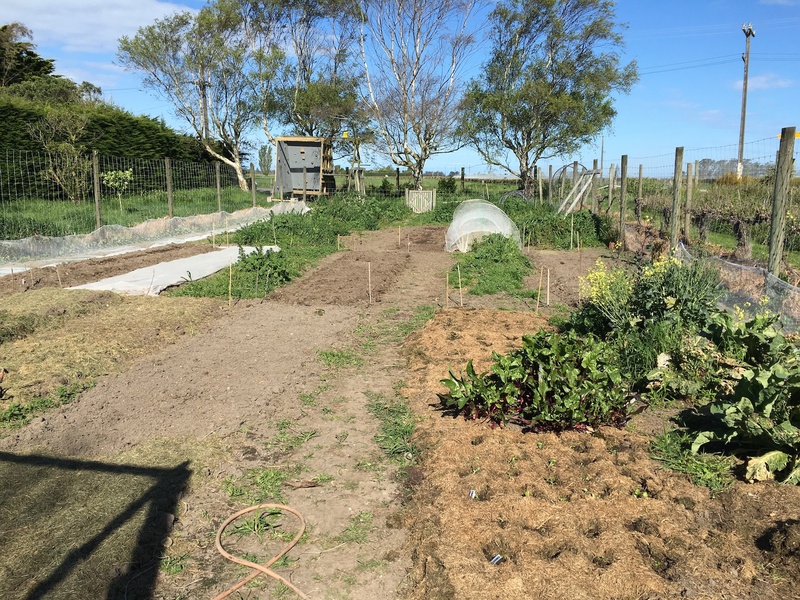 Never mind that over half the garden is still rank with weeds—look at the beds I’ve already prepared, the seedlings already growing in many of them. Forget the unfinished manuscripts, the editing that needs to be done—look at the four books I’ve already published, the four other novel drafts completed, the dozens of short stories I’ve written. I don’t like to dwell in the past, but occasionally it’s nice to look back and see that all my work has actually gotten me somewhere.